Every time I go through there, I worry that if I brake too hard on the A814 to prepare for the turn, that the motorists behind will plough into me. 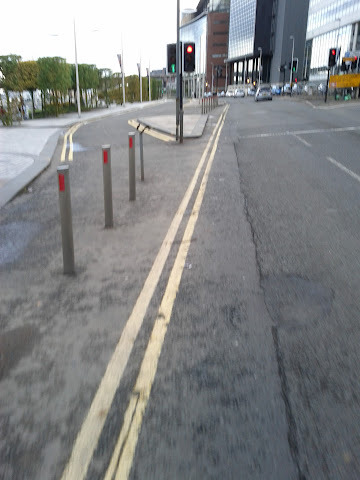 Then I worry I’m going to get caught on that nasty bollard as I go through there. 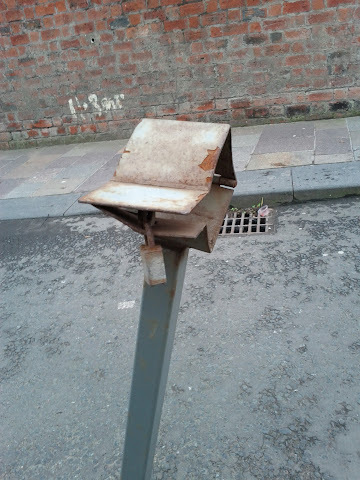 So, is the council right to leave this apparently broken & disused bollard in place?